Currently, We have three fabulous instructors: XingJian Liu, YuFei Zhang, and Rocco Ragano. All three instructors passionate about dance as well as dance & stretch education. They have been exposed to a wide variety of artistic influences, and bring with their extensive backgrounds in choreography, various training and dance education. They are thrilled to be part of Xingjian Dance Studio and relish every opportunity to work with students of dance to achieve their greatest in the discipline and art of various dance style. Graduated from GuangXi University and GuangXi Normal University in dance, music, and choreography, Ms. Liu has tens years of experience in Chinese cultural and folk dance. She performed and instructed professionally in both China and USA. Her students have also competed in various regional and national dance competitions and won numerous top awards. 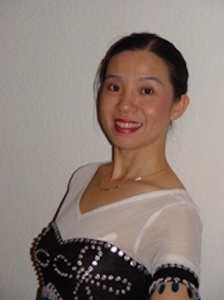 She is the founder, owner and director of the Xingjian Dance Studio. 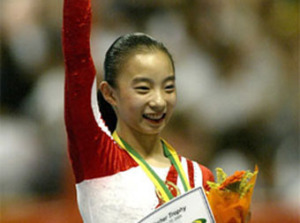 Graduated from Guang Dong Zhong Shan University, a national champion, an international gold medalist and a member of the Chinese Women’s Gymnastics team from 2002 to 2006, Ms. Zhang’s experience and training won her countless medals and the heart of a nation. Now the young lady is ready to teach some future champions of her own. She joined Xingjian Dance Studio in 2011 and she currently teaches the stretch class on Saturday afternoons. Mr. Rocco Ragano is originally from Chicago where he studied jazz and tap. Mr. Ragano is a graduate of the Vaganova Classical Ballet Technique under the instruction of Elizabeth Boitsov. Training included: Ballet, history of ballet, Variations, Pas de deux, Character dance Music and stage practice. Rocco has also earned a Bachelor of Art Degree in Musical Theater trained in musical harmony, piano, voice and drama. In addition to his dance training and performance experience, Rocco is Certified as a massage therapist, certified in Functional Movement Systems, certified Nia Black Belt, and was a Research Assistant in Sleep Research at UCSD, and is currently enrolled in a Somatic Education program. Rocco has danced professionally with companies such as the Boitsov Classical Ballet Company, California Ballet Company, City Ballet to name a few, he has had many guest appearances dancing principle and soloist roles. Mr. Ragano is currently a dance instructor at Fred Astaire Dance Studio San Diego and is a Somatic Educator at Eight Elements West.